June 27-28: Twelve of Synergy’s corporate employees embarked on an adventure across Utah’s majestic Wasatch Mountain Range. They piled into two vehicles, packing enough e9 and Health Shake to fuel each of them for what ended up being an intense and unforgettable challenge. Each employee was expected to run three separate “legs” of the 200 mile course. Many of these legs consisted of steep downhills, exposure to summer sun, rugged trails, hard pavement or significant increases in elevation. Each runner took turns, relaying through the heat of day and cold of night. This may sound exhausting (and it definitely was), but the overall experience was far from miserable. Synergy’s team cheered-for and continuously motivated each other. They smiled through the challenge. The exhilaration and emotion of completing each leg and crossing the eventual finish line was a fantastic reward. 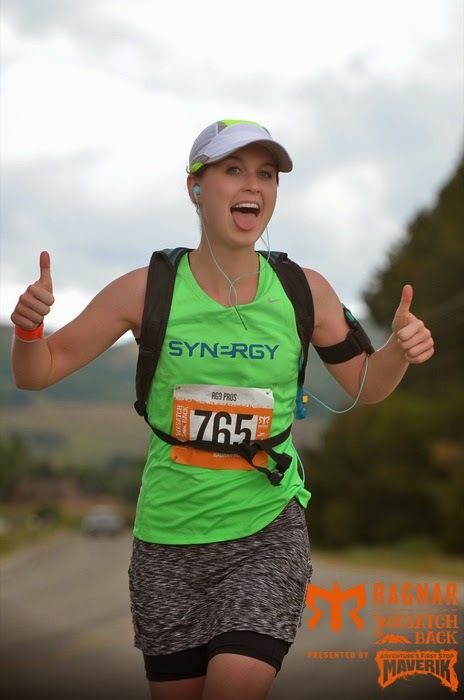 Watch the video below to see the “RG9 Pros” (Synergy’s official team name) conquer the Ragnar Wasatch Back relay race. To learn how e9 can energize you in your adventures, click here. For more information about using SLMsmart Health Shake as a better breakfast, click here. For more information about the Ragnar Relay Series, click here. The RG9 Pros: Howard Hannemann, Ryan Wright, Aaron McCain, Kristen Barker, Catherine Bennett, Ryan Lindahl, Chaz Liddle, Jake Rothfels, Mindee Waldron, Aaron Washenko, Ann Vest, Jerry Craner. Each extend sincere thanks to Synergy WorldWide for making the opportunity possible.